The Mumbai Indians (MI) vs Royal Challengers Bangalore (RCB) match in the Indian Premier League (IPL) at the Wankhede stadium saw a bizarre DRS decision favour Hardik Pandya, leaving Virat Kohli bemused. Whether be it his animated celebrations or outing up a frustrating demeanour at a poor display, Virat Kohli has never shied away from expressing his heart on-field before the cameras. 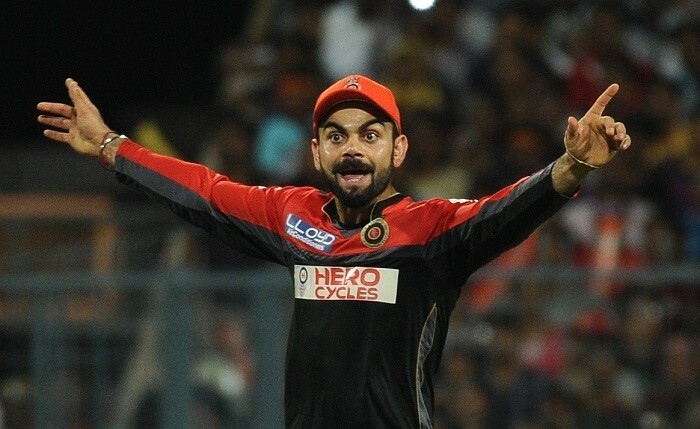 Wankhede saw one such instance on Tuesday when the RCB skipper left the field furious arguing with the officials. CB had every reason to be upset at the end of the first innings after the hosts went on to post a mammoth target of 210 runs after starting the match by losing two quick wickets without even opening their account. Kohli’s restlessness and frustration couldn’t be hidden every time Rohit Sharma and Hardik Pandya went for the biggies. And to further add to his frustration, Mumbai got a huge favour from the officials who decided to overturn Hardik Pandya’s knick into a not-out. It was Pandya’s first ball off Chris Woakes’ delivery, which was unplayable in the truest meaning. Coming at the crease with less than two overs left, the pinch-hitter went for the first ball itself. The sound of the knick was enough for the umpire to signal out before a confident Pandya decided to go up without even consulting Rohit Sharma. The big screen in Wankhede played and replayed the action multiple times with the Ultraedge even showing a slight spike during the ball’s passage across Pandya’s bat. But, to everyone’s surprise, the third umpire decided to give it a ‘not out’ that left Woakes and Kohli befuddled.